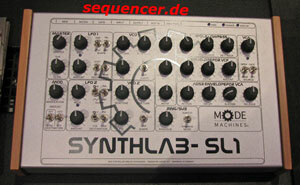 via Sequencer Synthesizer Forum • Thema anzeigen – EA Party VI – 21.08. – 23.08.2009 – Urwerk | Bernburg. 2 OSCs ring pwm, 2 LFOs, 2 EGs, 1 FILTERs (4pole), no sequencer, no arpeggiator more..
Apple the more human Computer?